Welcome to Cooking With Cricut's Cartridge Showcase. Chef Debbie has taken over the blog today is sharing with you some great projects she has made with Cricut's Doodlecharms cartridge. Accessorize all of your paper-crafting projects with this all-purpose cartridge. You can choose from a variety of cute icons, including rubber ducks, snowmen, sand castles, spiders, and so much more. This cartridge includes: Tag, Card, Charm, Border, Shadow, and Shadow/Blackout creative features. I am not sure how exactly long I have had this cartridge but just recently began using it and cannot believe I had waited so long. My most recent project is using it for some Valentine treats. I cut the cute lady bug and dragonfly from this cartridge and their layers. 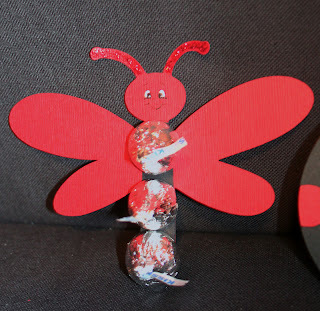 I turned the bug into a “love bug” for my girls and added some Hershey kisses to its spots and I made my dragonfly a “fly guy” for my boys, I added some kisses to theirs as well. I cut both at 4 inches. 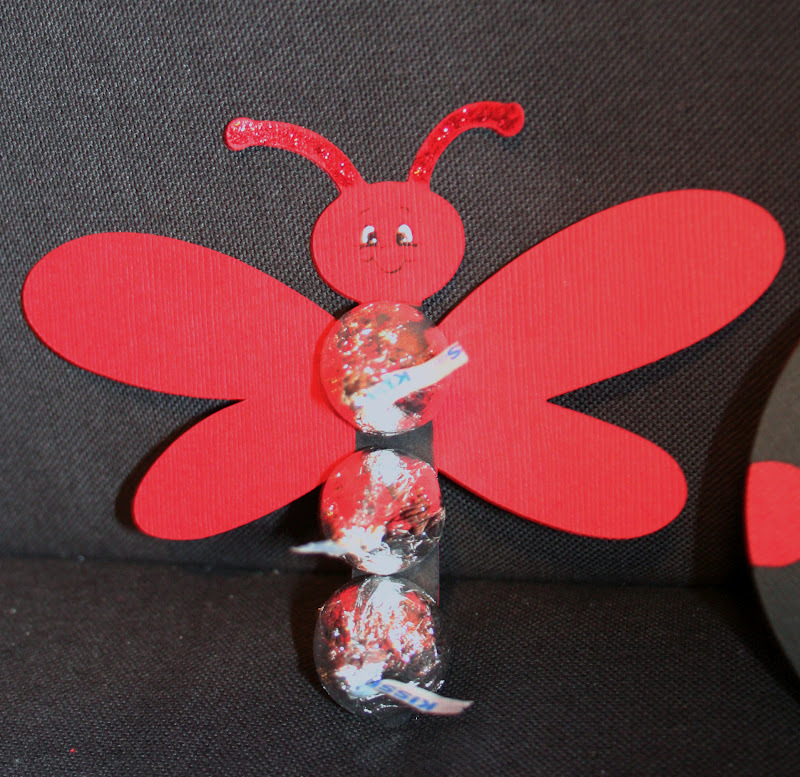 I gave them cute Peachy Keen face (different sizes but the same face) and I gave the dragonfly some stickles on the antennae. I wrote a little note on the back for the kids. 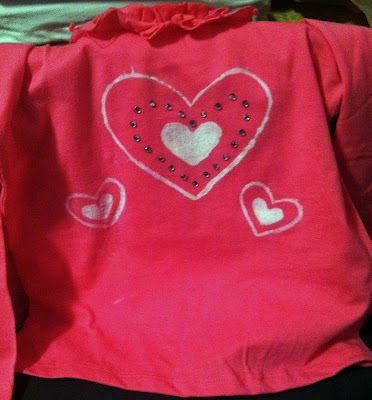 Another project I used Doodlecharms for is to cut out the heart shape to use as a stencil for my daughter's Valentine’s shirt. Here is a picture of that and here is where you can find the original post if you'd like more information. 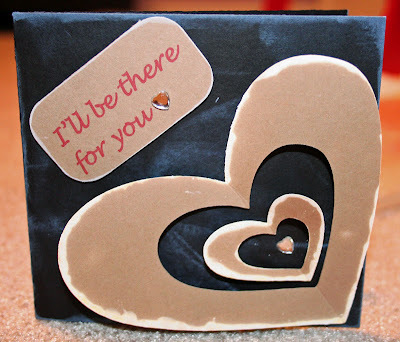 I was actually able to then use the hearts (from the stencils) on a card I made recently. Here is a look at it and here is the post about it. 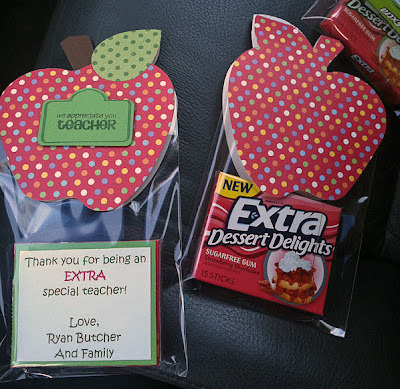 My last project is some teacher appreciation treats I made. I used Cricut CraftRoom and the Doodlecharms cartridge to weld two apples together to make a bag topper. I also cut the leaves from Doodlecharms. Here is a picture and here is the original post. Super cute projects, Debbie! Thanks so much for sharing them with us today. Make sure you head over to Debbie's blog and let her know how much you enjoyed her showcase. Wishing you all a crafty weekend! Debbie, these are such wonderfully sweet ideas! Thank you for some wonderful inspiration on a great go-to cartridge! I will have to wipe the dust off this one and put it to use again!!!! What cute projects. I especially love the use of the KISSES. Debbie those are SUPER cute!! I LOVE them!!! Wonderful cartridge & creations. The treats are an added bonus. 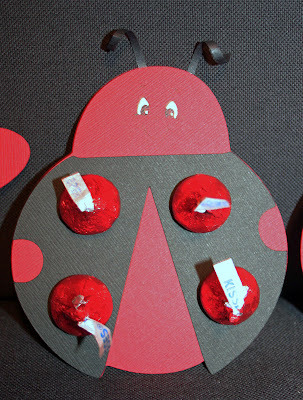 I love the Hershey kiss idea!!! Awesome!! Thanks for sharing! !